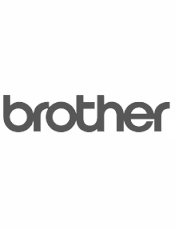 Genuine Brother LC139XL Extra High Yield, 2400 page, Black ink cartridge for use in printer models MFCJ6520DW, MFCJ6720DW, MFCJ6920DW. 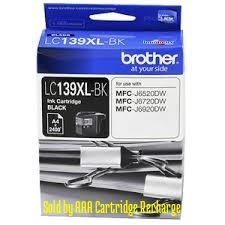 LC 139XL. 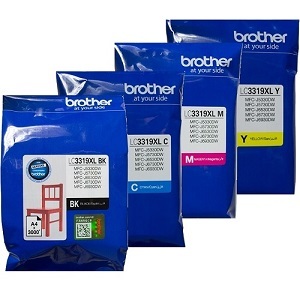 Affordably priced Brother original LC139XL inkjet printer cartridges for QLD, Brisbane, Logan, Northern Suburbs Queensland, Southside Brisbane, Brisbane CBD & Inner Suburbs Queensland, Redcliffe, Beaudesert, Sunshine Coast, Gold Coast, Mt. Isa, Gladstone, MacKay, Toowoomba, Ipswich, Cairns, Townsville, Roma, Rockhampton, Hervey Bay, Bundaberg, Maryborough, ACT, Canberra, Queanbeyan, Belconnen, TAS, Hobart, Burnie, Launceston, SA, Adelaide, Adelaide CBD, Port Pirie, Bridgewater, Ceduna, Port Augusta, Murray Bridge, Port Lincoln, Victor Harbor, Gawler, Whyalla, Mount Gambier, VIC, Melbourne, Melbourne CBD, Bendigo, Geelong, Ballarat, Cranbourne, Melton, Mildura, Moe, Wodonga, Sunbury, Traralgon, Frankston, Prahran, Shepparton, Wangaratta, Warrnambool, WA, Perth, Perth CBD, Kwinana, Rockingham, Mandurah, Bunbury, Kalgoorlie, Boulder, Geraldton, Albany, Broome, Busselton, NSW, Sydney, Sydney CBD, North Sydney, North Shore, Sydney Eastern Suburbs, St George, North West & Ryde, Hills Shire, Liverpool, Parramatta, Blacktown, Penrith, Central Coast, Newcastle, Wagga Wagga, Albury, Maitland, Armidale, Bathurst, Orange, Lithgow, Coffs Harbour, Byron Bay, Dubbo, Goulburn, Lismore, Port Macquarie, Tweed Heads, Richmond, Campbelltown, Taree, Tamworth, Shoalhaven, Wollongong, Nowra, Bega and immediate surrounding areas. Same day courier and air freight dispatch.